We Pride Ourselves to Deliver each Container as it represents a piece of Jewelry! 1. Printing is done in a climate controlled closed facility to eliminate dust and contaminates. 2. Containers are unpacked to be screen printed or a flaming pre-treatment if needed prior to printing. 3. Output film positive transparencies for each color. 4. Expose the film and burn each mesh screen. 5. Then we rinse off emulsion and install screen on printer. 6. We pull from our inventory of custom fixtures and attach the proper tooled fixture to the printing press. Different bottle diameter and width requires a custom fixtures that hold the container firmly as it moves through the printing press. 7. UV, epoxy or solvent inks are mixed to ink color requested, mesh screen gets inserted and pressure adjustments are set. 8. The job is ready to print and will need a few containers as waste to set up. 1. Our trained staff prints, proofs and checks each container for low spots, spidering or any quality issues before being placed on a conveyer belt for UV curing that instantly hardens the ink to the container. Glass is printed with epoxy inks and baked in ovens at high temperatures to cured so the ink does not chip off. 2. 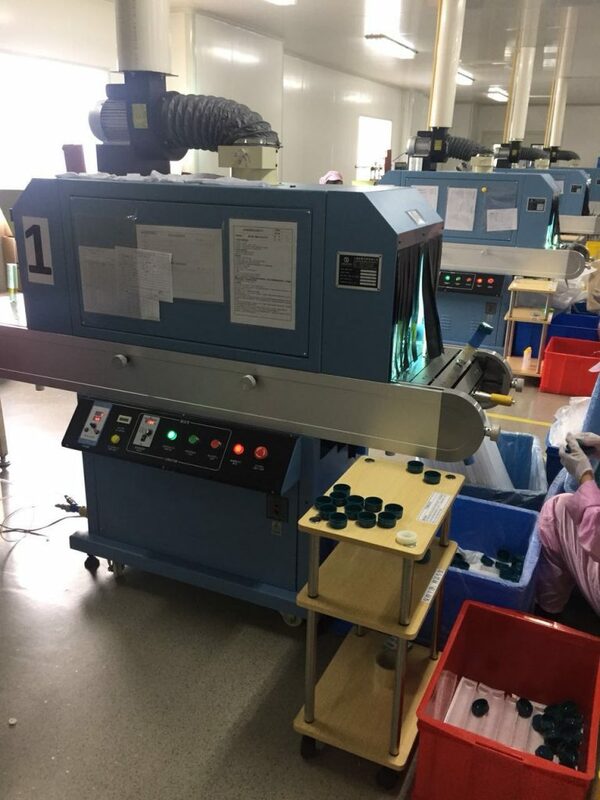 On the other end of the conveyer belt, a second set of eyes, looks over each container for possible flaws previously missed, and only perfectly printed containers will get packed. Please provide 2-9% additional containers for set-up, multiple color registration and waste. 3. Each delivered printed container is a showcase for your lotions, serums, body creams and company image. We considered ourselves experts in the screen printing industry. Short-Run Screen Printing Price-list. You want your order when??? Understanding the steps it takes to produce a Quality Screen Printed Bottle, Jar or Tube. 1. Supply artwork in a hi-rez file and save out as a PDF, Vector or AI format. Note: Please do not send Raster Files. 2. Know the plastic (resin) material of your bottle/jar/tube. This is important to the screen printer. Each resin (the outside material of your container) has to be treated differently to insure that ink will UV cure correctly. Learn about plastic resins. 3. Ask your bottle company to send the technical drawing of your container for accurate layout, positioning and final proof. You can also provide us with your bottle companies contact information and we can reach out to them. 4. Choose how many decorative colors and if foil stamping will be part of your design. FYI: Each color or applying foil is done one pass at a time. 5. Types of Proofs: 1) Computer generated proofs are standard and at no charge. 2) We can email you a picture of your printed sample on the day the job runs for an additional charge. 3) We can overnight you a printed sample and wait for approval for an additional charge. 6. Scheduling Delivery: After containers arrive and artwork is approved, your order will be scheduled for printing. Standard delivery is 7-10 business days after artwork is approved. Total quantity ordered, multiple colors and time of year can change standard delivery times. Foil stamping adds 5-10 additional days due to a metal die that needs to be ordered. Printed Samples: We have many requests for actual printed samples. The answer is yes, we can print 2-3 samples so you can an actual final product. The cost can be from $200 – 400 for each one based on how many colors. Customer ask why so much? The answer is that printed screen printed samples for us is just another full job to set up. Once the 2-3 hour set up is ready we can start printing. Here is a video that I came across on the web that is a DYI process of what it takes to set up and print on bottles. This is a DYI set up but these are the exact steps it takes to print your cosmetic bottles and jars but we have to do much more to make it perfect. Below is a picture of the machine we print on. 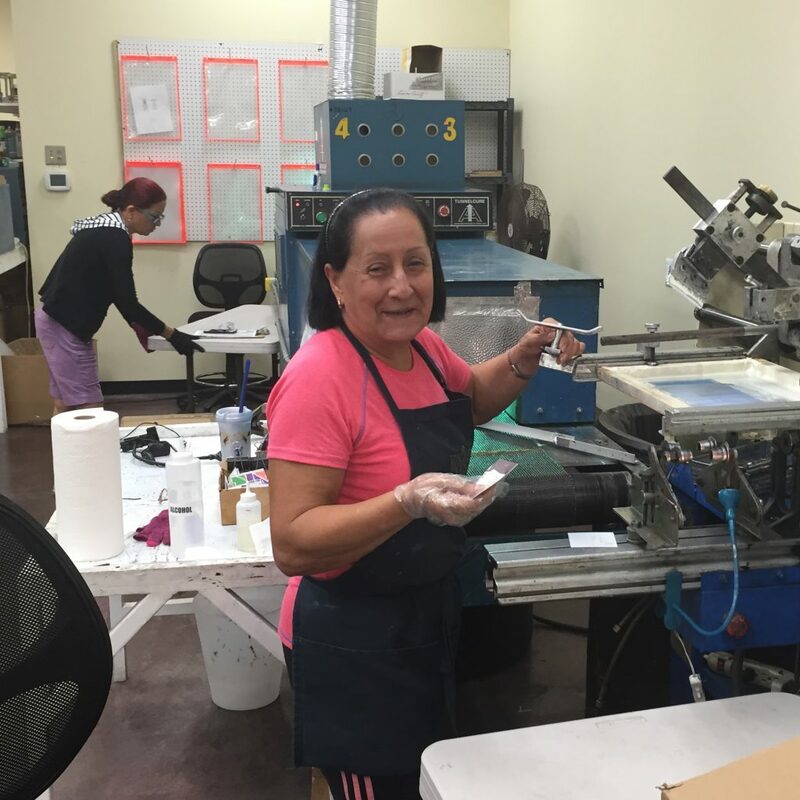 Our goal is to silk screen print every printed bottle, jar and tube perfect! Contact Blue Line Labels at 1-800-609-7079 for all your custom screen printing, foil stamping and any decorating needs. bottles, jars, tubes, caps and pumps. Companies in RED are local suppliers who we pick up from. Companies in GREEN are preferred out of state suppliers.